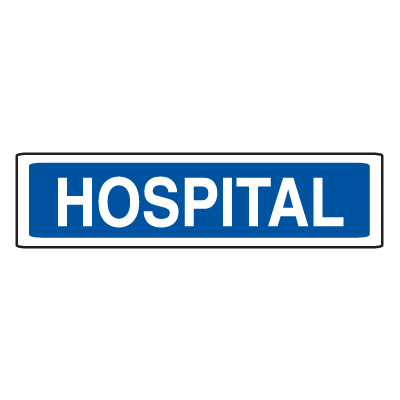 Help people easily locate the nearest medical establishment with these Hospital Signs from Seton! Hospital Signs provide people with the means to find the closest medical facility in the area without having to constantly ask others for directions. Seton carries a number of signs that indicate the location of the nearest hospital. With clear text and bright background colors, these signs are easy to view even from a distance. 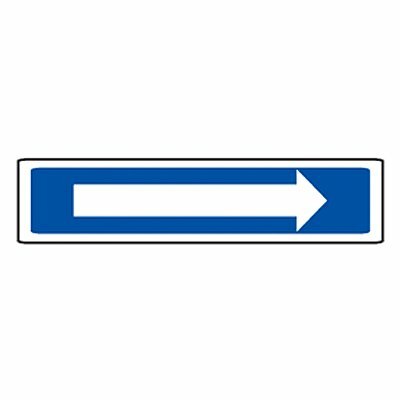 These high visibility signs made for hospitals inform motorists and pedestrians alike when they are nearing a medical facility. 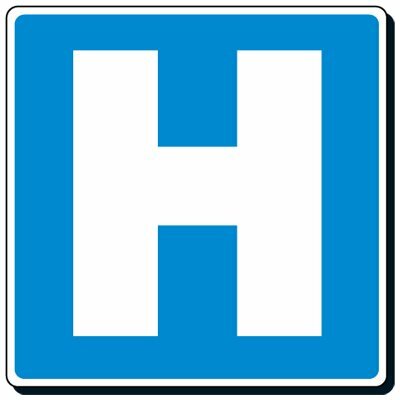 Our hospital “H”signs, directional symbols and hospital signs come in different sizes for you to choose from. Made with engineer grade aluminum, these signs can withstand even the harshest outdoor conditions. Inform people when they are approaching hospital premises. Getting a patient to the hospital can be an important medical assistance in itself. 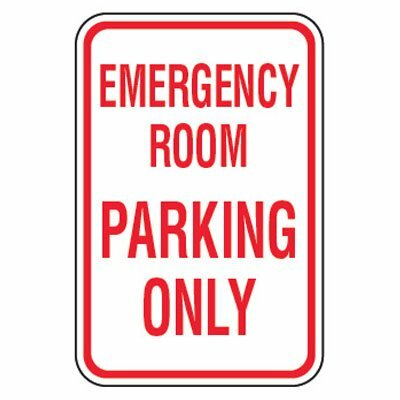 Help those in need receive proper medical attention with Seton’s selection of Hospital Signs. With these signs, you can provide directional guidance to those searching for medical assistance, while also alerting passers-by to watch out for ambulances and avoid loitering around the area. Seton’s hospital signage products make use of bright, eye-catching designs that call the attention of drivers and pedestrians alike. These signs come with a blue background and clear text, making them recognizable even at a distance. This means that less time is wasted on deciphering unreadable or unfamiliar messages. Furthermore, their different shapes and sizes that you can choose from. 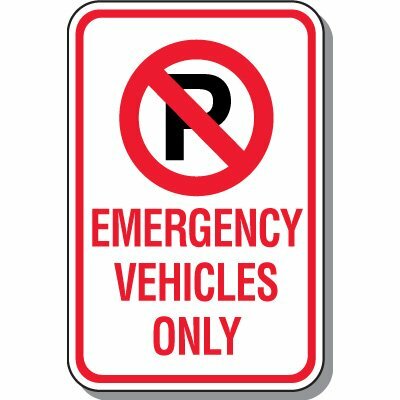 And, as with our other items, these signs can be depended on for ease of use and durability. Conveniently install these signs for your establishment with the knowledge that they can also withstand harsh conditions. We have even have signs that are manufactured using reflective aluminum, which allows them to resist weathering and extended use. Knowing where the hospital is and how to get there quickly can help save someone’s life. Choose from among Seton’s products and help someone get the medical assistance they need.